I had the pleasure of heading to Manchester earlier this week and after one of my meetings was cancelled last minute I decided to spend the time, before my train back, doing one of my favourite things and meandering around a bookshop. 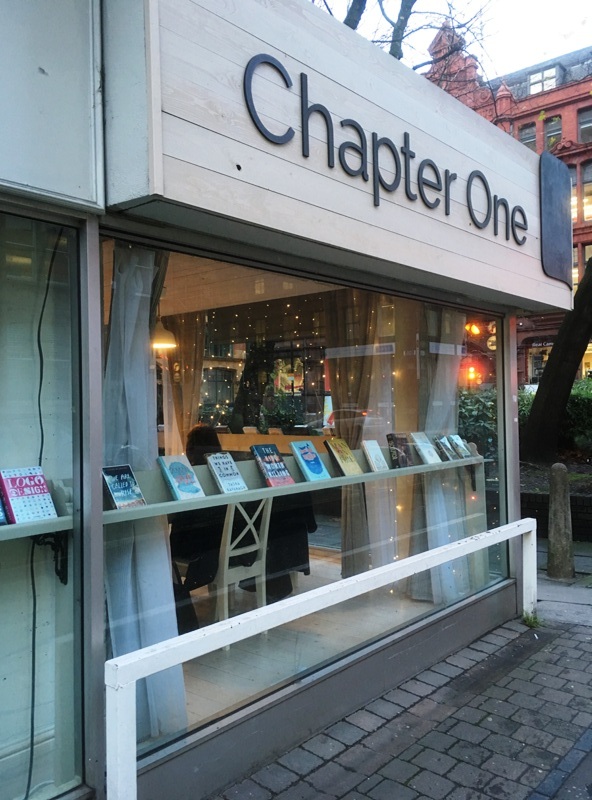 The bookshop I headed for was Chapter One Books in Manchester’s Northern Quarter which I fairly new and has moved into the city since I lived there for a year and a half. 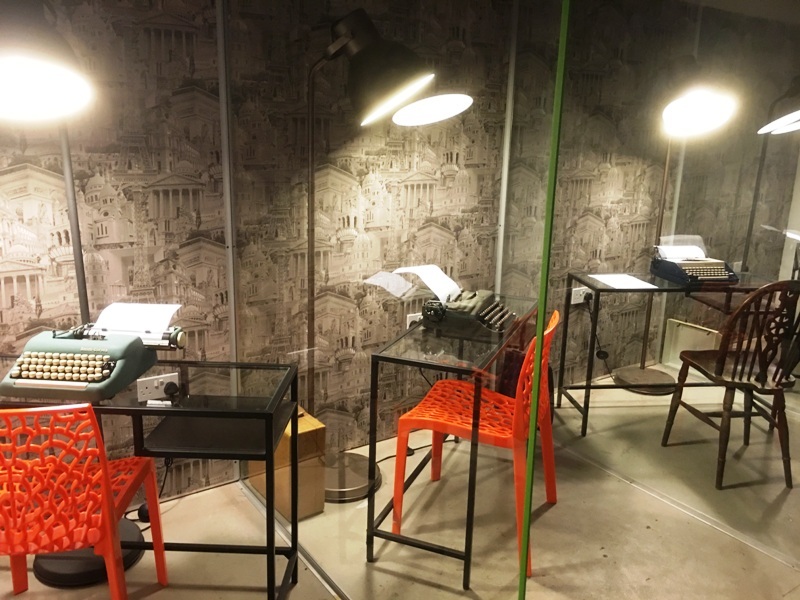 In a time where independent bookshops are in decline it takes a brave person (or in this case persons, as two sisters opened the shop) to take on a venture like this. On entering Chapter One Books you know that you are in safe hands as the whole place is absolutely stunning from the moment you enter, when you are greeted by a selection of cakes – my kind of bookshop, and then turn the corner to discover an almost magical world of books. I use the word magical as you feel like you are in a hidden book haven. 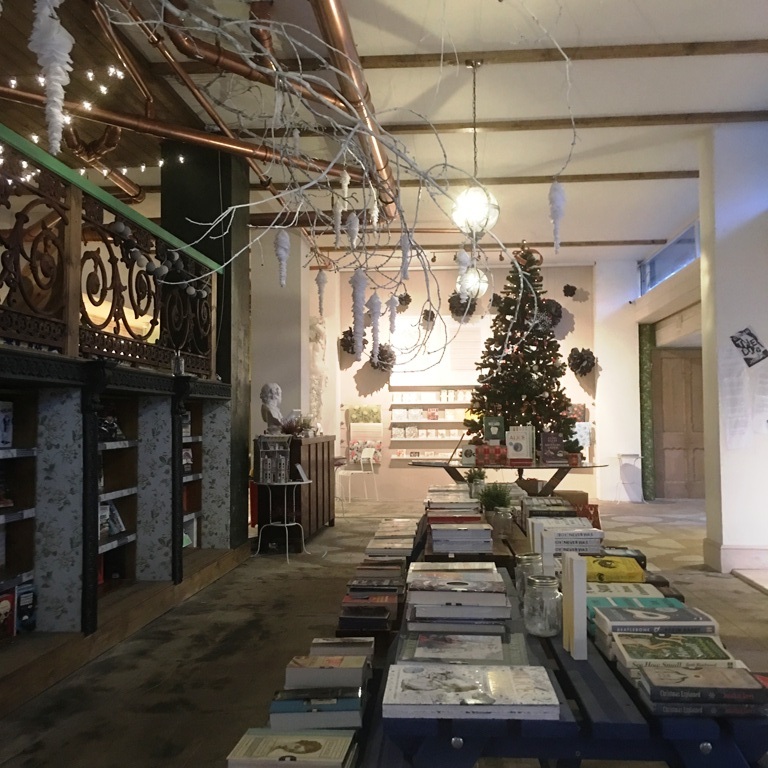 There is a fountain and a tree hanging from the roof in what would be a rather industrial space which makes you feel like you are at once indoors and out, as well as being in a fairytale yet dystopian space, where only books have survived. It is marvellous. This is before you discover there are secret shelves all over the place hidden under balconies, which also conceal more shelves of books to discover. The space also seems to just keep going, every time you turn another corner there seems to be more space where shelves are hiding waiting for you. Of course you are wondering what the sort of books are aren’t you? Well this is what I found so interesting, and loved about Chapter One Books, is that it feels like the selection of books has been really well crafted. (Yes, I held off the buzz word ‘curated’ though this would be true.) 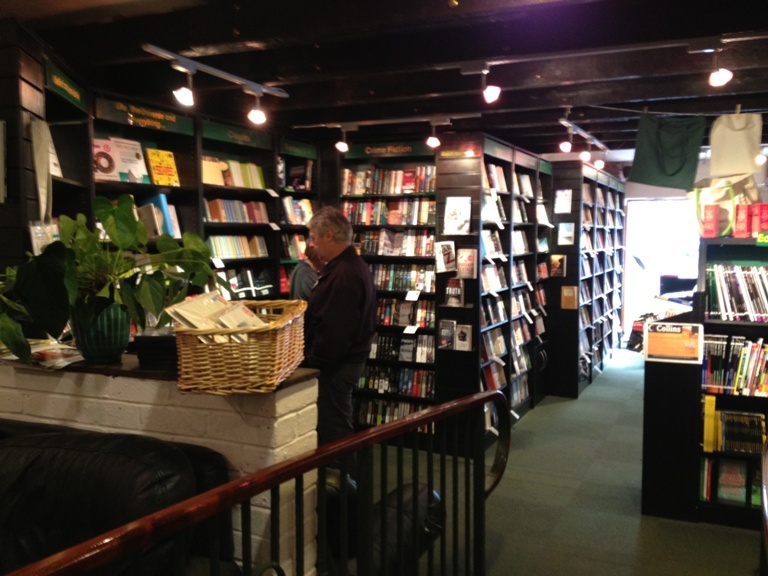 There are some of the well known and slightly obvious books (because every shop needs punters and to appeal to the passerby) yet they remain a small minority and tend to just be the really good ones surrounded with many more that you have yet to discover, and this said by an avid reader. With a limited space there are only a few authors who are there in abundance, in this case Atwood and Atkinson which thrilled me, but you can find a hardback of almost every book that is also in paperback which I liked. It felt like a den for collectors. I also loved the fact there were quite a few imported books which seriously tempted me. It is a collection clearly chosen by keen readers, books that you just really want to read if you haven’t before because of some of the better known pointers that you can gage your taste by. I picked up these two which caught my eye and I had never heard of but instantly felt I would love. So this was all utterly joyous. I am only annoyed at myself for not having the Bonbon coffee (carnation milk and coffee nom) but that just means I have to go back, which I shall be doing every time I find myself in Manchester from now on. So a big hoorah for Chapter One Books! If you are in Manchester at any point make sure you head there, or else. 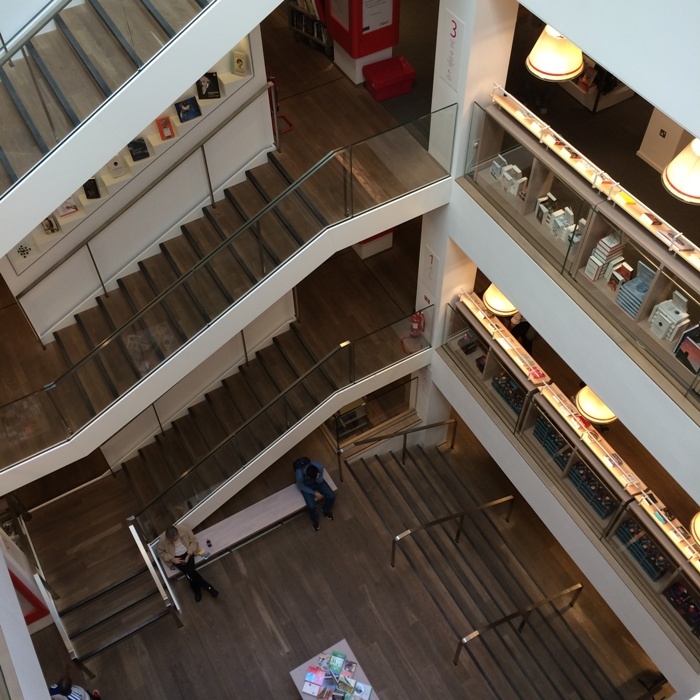 I cannot remember the first time I ever walked into Foyles because it has become so etched in my brain as a bookshop and I lived in London from the age of eighteen so have been visiting since sometime around then, yes even in those years when I thought books were rubbish. This is partly because I dated someone booky when I was not long to London and so would head there for their book fix and my cake fix. They would read in bed, I would listen to Steps or something even more embarrassing. Moving swiftly on a few years, Foyles then of course became a book haven once I became addicted to books and book shopping. 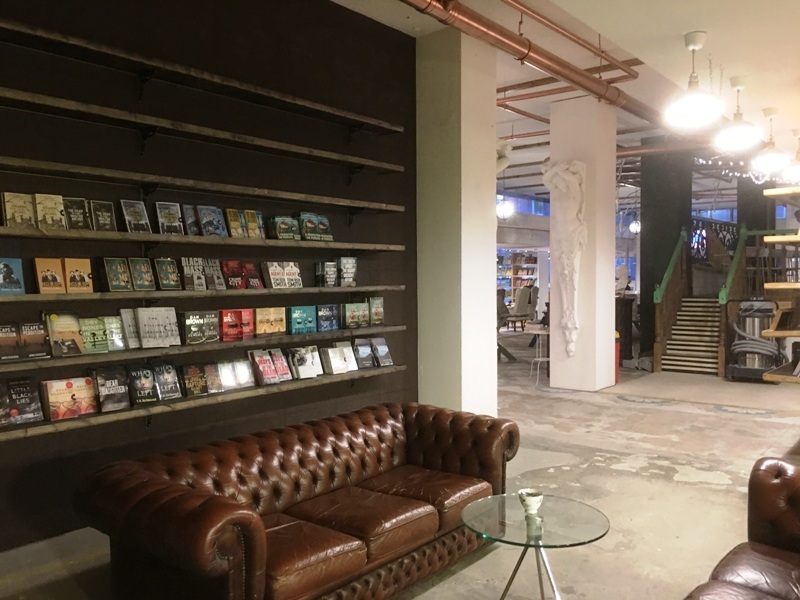 A dream book shop to me is one that you want to spend hours and hours in and that is what the new store, which has taken over the former Central Saint Martins College of Art and Design site, is. In fact I was tempted to bring a sleeping bag to my second meeting there and ask if I could just move in for a while, there is still time. It is one of the airiest and most spacious feeling bookshops I have been in for quite some time and yet with its mezzanine levels keeps the quirkiness of its old former home. You want to spend hours wandering the many floors looking for something particular or indeed just intent on browsing the shelves. I don’t know about you but I can happily spend at least half a day going through a stores fiction, crime, graphic novel and nonfiction sections. Easily. 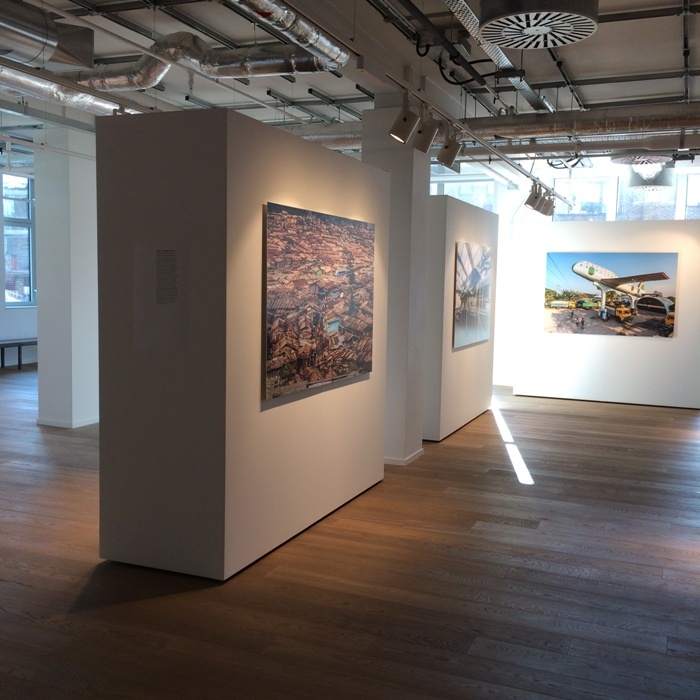 There is also a corking event space, which it is surreal to say I have spoken in of late, and I would recommend you keep your eyes on what the guys at Foyles have coming up. Like all great bookstores it too has the facilities to allow yourself to do that and keep watered/caffeinated and fed with its wonderful cafe which you can happily content yourself in for several hours as The Beard reliably informed me when I was in for a long meeting and left him very much in the non-reading much feeding crèche as I have renamed it. There is even a gallery, which has different collections in at different times, to keep any book widow happy for a while. There is also a wonderful stationery and gift section which I was too busy fawning over to actually grab a snap. If you haven’t had the chance to go make sure you do on your next London trip, schedule in a few hours, as you can see I am a huge fan and heartily recommend it. 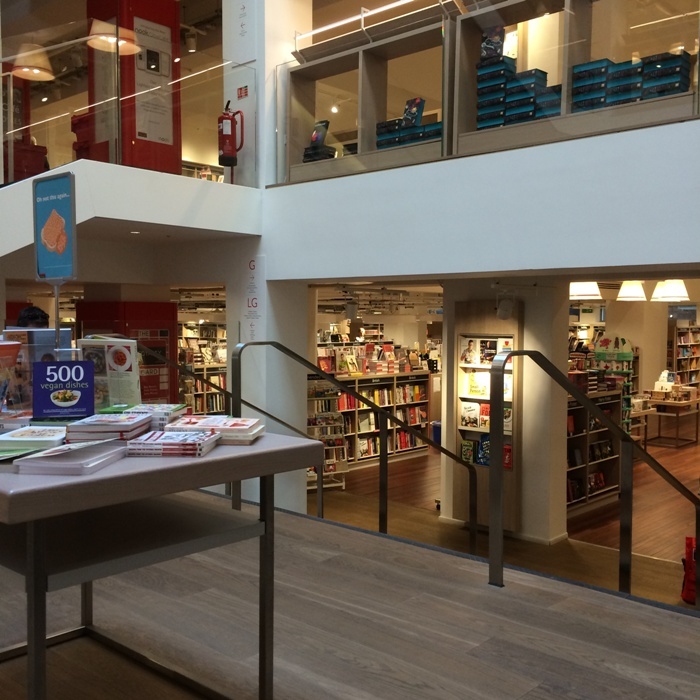 Which of you have visited the new Foyles store and what have you made of it? Has it affected your bank balance as it did mine recently? As always I would love to hear your thoughts. Scarthin Books has been a constant in my life from roughly from birth. Coming from Matlock Bath, which is just up the road, we would often go for a walk (not every week) that took us up and down the hills with a wonderful reward halfway along. I used to love spending a good hour or so in the small corridor room under the stairs which was the children’s section whilst Gran and Mum explored the new and second hand books. Of course as I have grown up it has been a case of myself and Gran and/or Mum doing the same while someone waits upstairs eating a cake! Scarthin is a wonderful place, brimming with books and happy memories for me. Derbyshire is doing well with my selection so far, true there is the bias of my background and homelands BUT to only think it is that is to do both Scarthin and Scriveners a disservice. 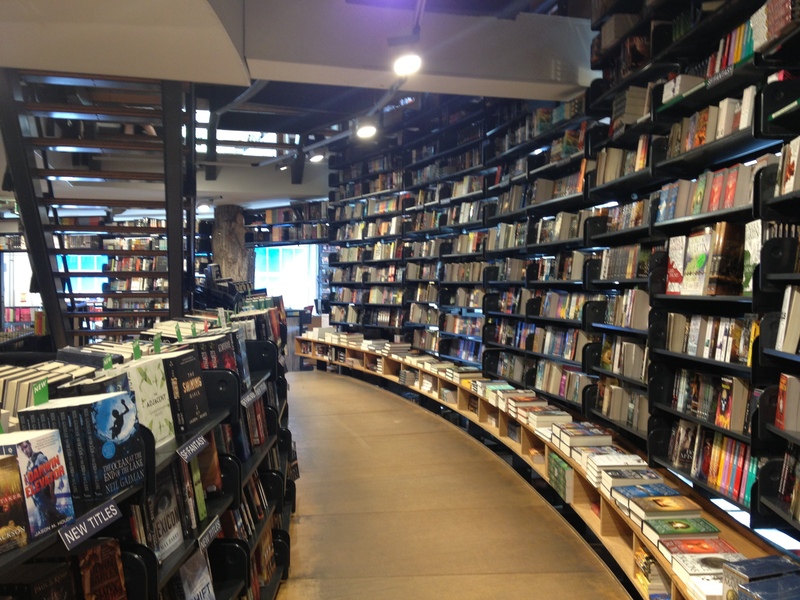 Scriveners is like a wonderful maze of second hand books over five floors. Yes you read that right, FIVE FLOORS. So that you have a good old browse there are even free refreshments and sofas, you need a good few hours to wander and I doubt you will leave empty handed. Two additional fascinating facts about Scriveners is that they print books in house and also have a ghost! I think if I was ever to own a bookshop, which is the dream of many of us isn’t it, then Wenlock Books would pretty much be it. 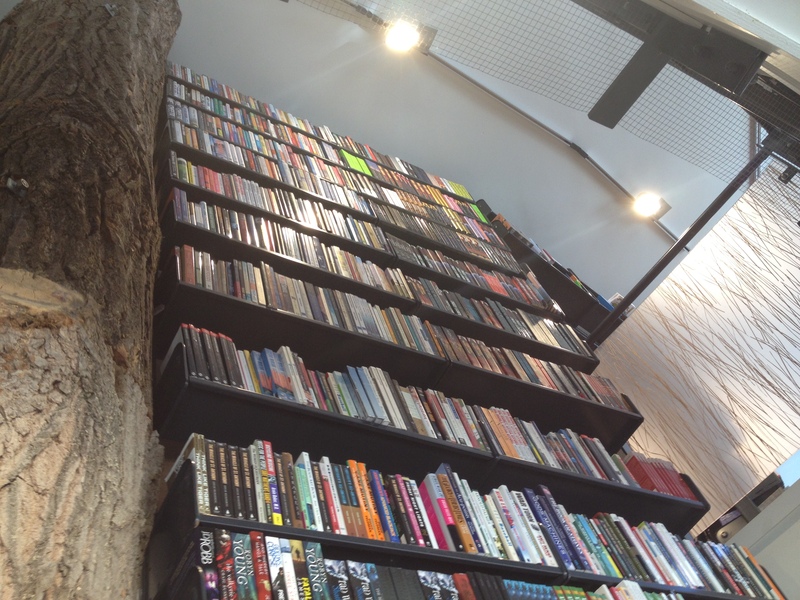 They have a wonderful selection of new books downstairs which you feel are truly hand selected. 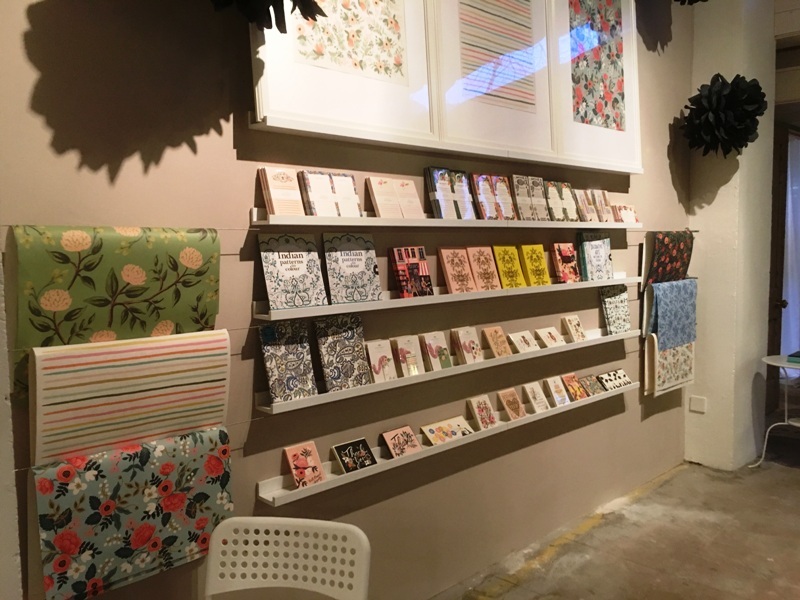 There is also a wonderful array of bookish gifts (mugs, bags, etc) and stationery and then, if that wasn’t enough, there is a wonderful floor upstairs that are crammed with second hand books. Wonderful. Floating along the canals of the UK, and possibly heading to Europe soon, is the lovely Sarah and her wonderful barge filled with books and even a house boat bunny on occasion. Here there are a mix of new and old books and it just feels like a wonderful haven bobbing up and down brimming with books. If the Book Barge is ever near your house then get yourself to it pronto! 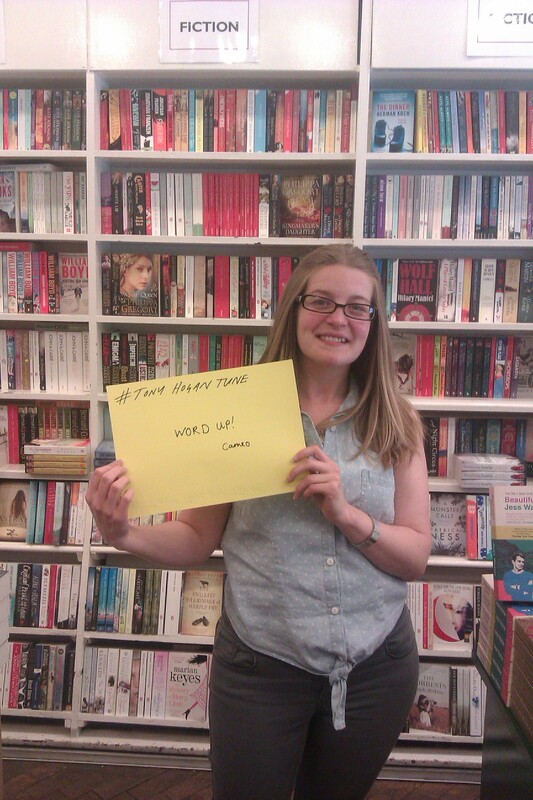 Sarah has even written a book all about running it which you will be hearing about here very soon! 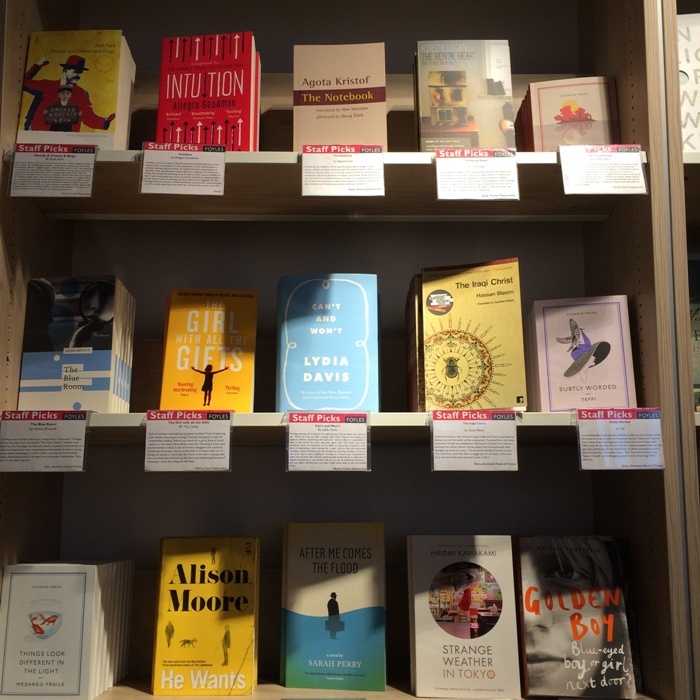 I have always been a big fan of Foyles and when I was part of a London bookshop I would a) meet my other book group members before and b) buy the next book afterwards in the South Bank branch. I also loved spending hours on the old Charing Cross Road branch. 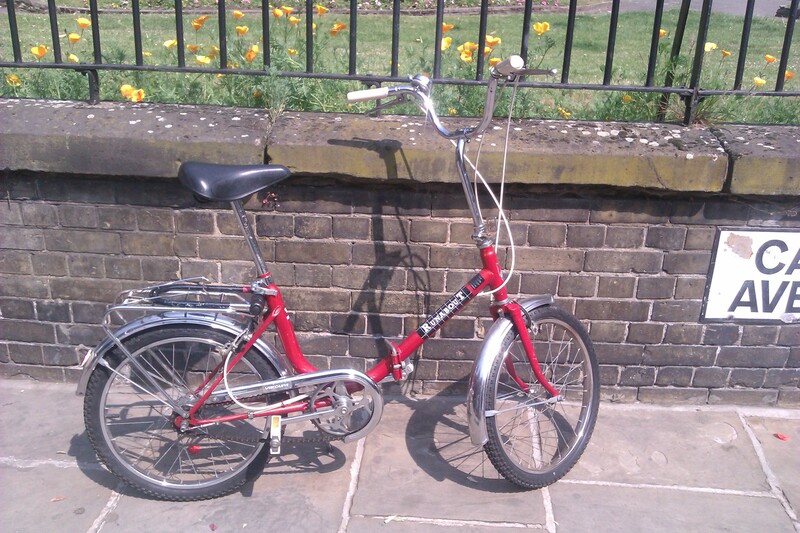 I was slightly apprehensive about the ‘new’ one, but when I went there for a GCP meeting last month I fell in love. 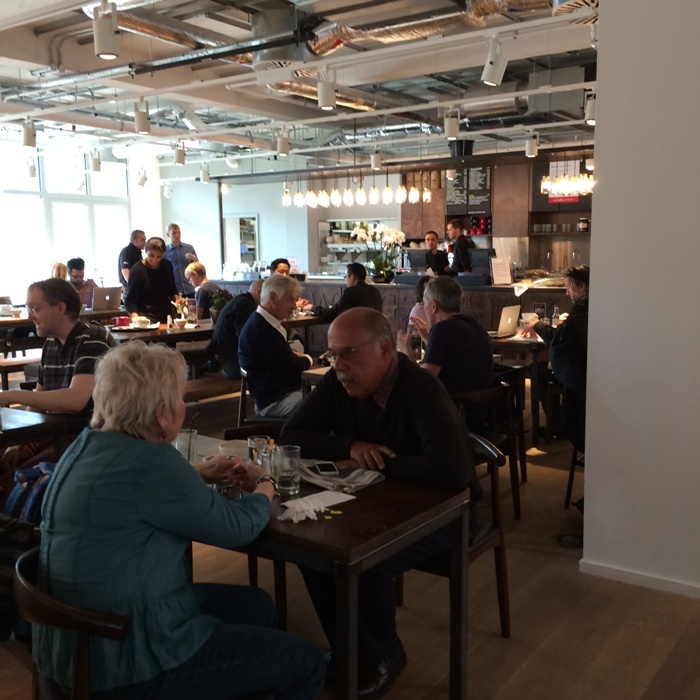 It is airy, spacious, has thousands of books, a wonderful cafe – let’s face it I could move in. Expect a tour on the blog in the next few weeks! I remember when I first moved to London I went and hunted Gays The Word down. It was a place of legend. As a young gay man I used fiction as a way to discover ‘people like me’ and try and understand it all and indeed myself. I was too scared to go in and so looked at it, walked past, turned around, walked past and looked in again. I finally went in a year later. Since then I have always popped in and since becoming close friends with the lovely Uli there make sure I pop in on every trip back. 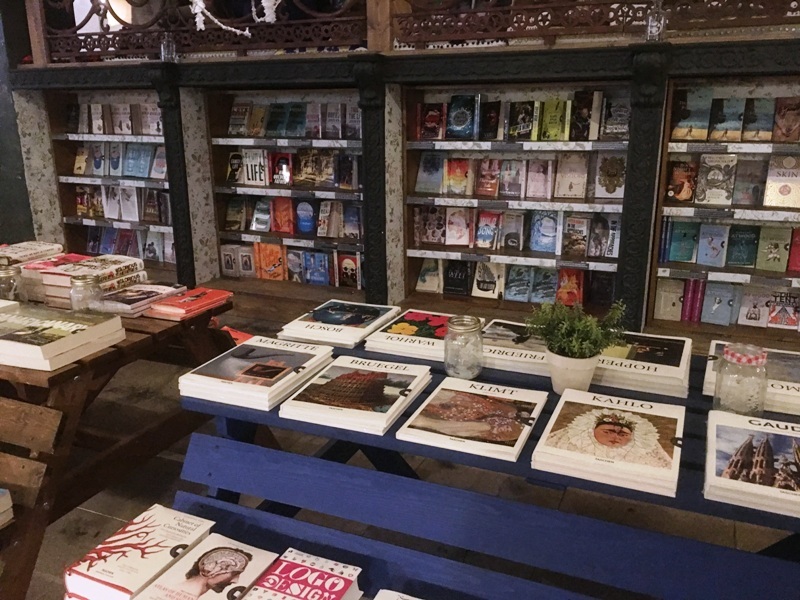 They have brilliant events, often with booze – booze and books are a wonderful mix, and it is like the history of LGBT writing opens before your eyes when you walk through the door. I am quite cross that I didn’t discover this gem until not long before I left London, especially as I was such a fan of the books however for some bonkers reason I didn’t connect the two. Perspehone Books of course only stock Persephone Books and there is something rather magical about that in itself. Now whenever I go back I make sure that I pop in and if I am lucky Nicola Beauman is in and we have a coffee and a natter. 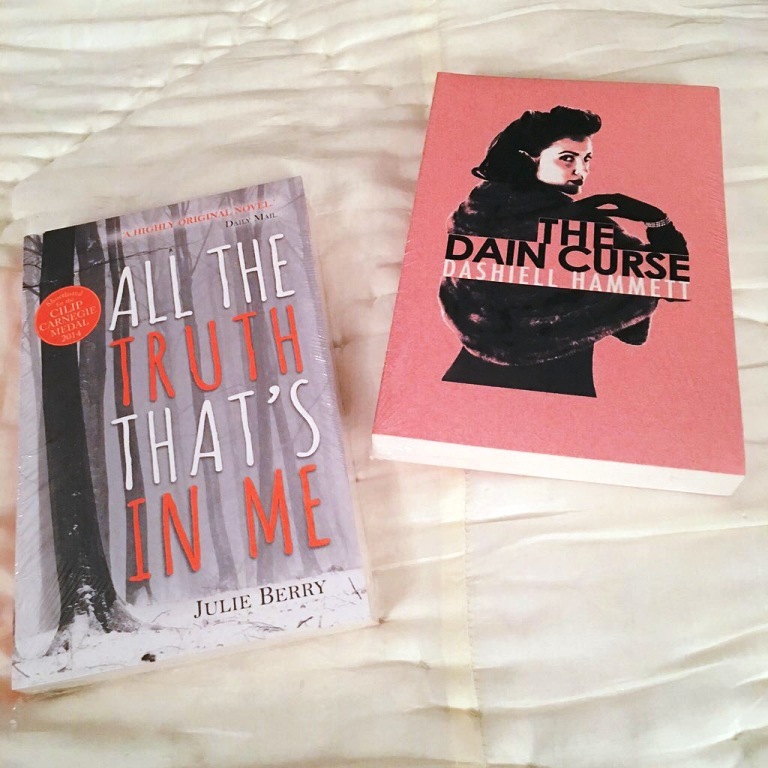 I always end up buying at least two or three books, how could you not? I wanted to include Waterstones because whilst they aren’t independent they are a place that I have spent many happy times and indeed have been a wonderful place to head to in unhappy times. 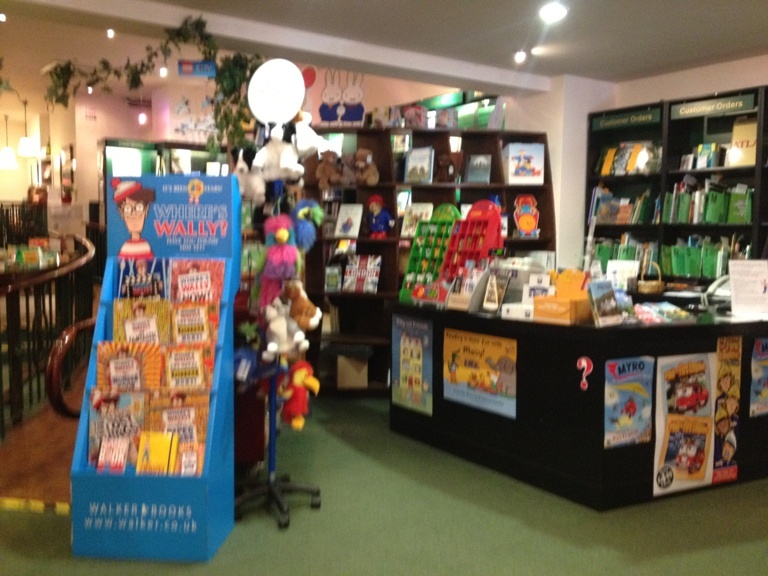 Waterstones were always a treat, like Thorntons, to visit when myself, Mum and Gran went on shopping trips. They were the reward after wandering around a museum, cathedral, art gallery or three hour tour of John Lewis. I would be allowed to pick three books and that was my treat. In adulthood I have spent many hours wandering them with Polly, competing as to who has read the most. Deansgate is extra special to me because when I left London is was a haven and the place I would meet most of my mates. 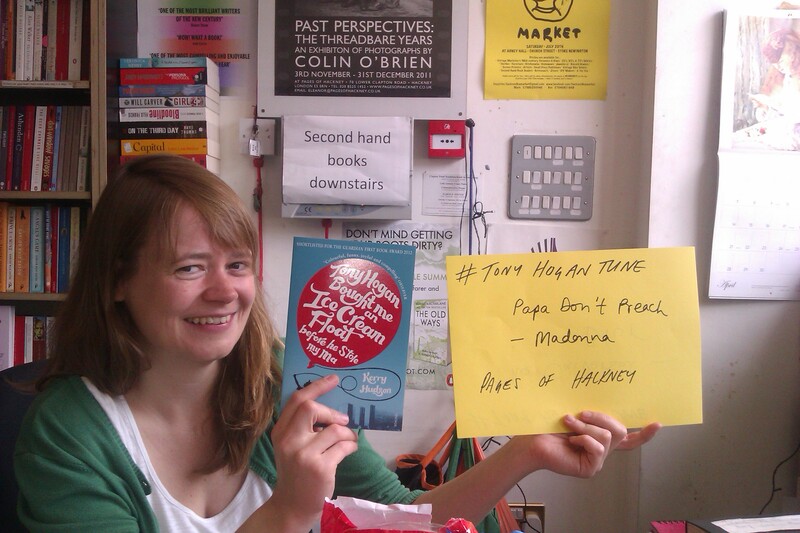 I also got to read Rebecca, well the first chapter, to an audience for World Book Night there, have been to some of my mates book launches there, even had (hope The Beard isn’t reading) a few dates in there and ran a literary salon there for a while. Books and brilliant memories, with the odd splash of something sparkly. Lush. 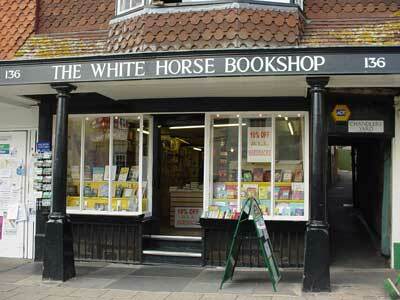 When I was a youth, and in my early teens, I lived in Marlborough in Wiltshire. 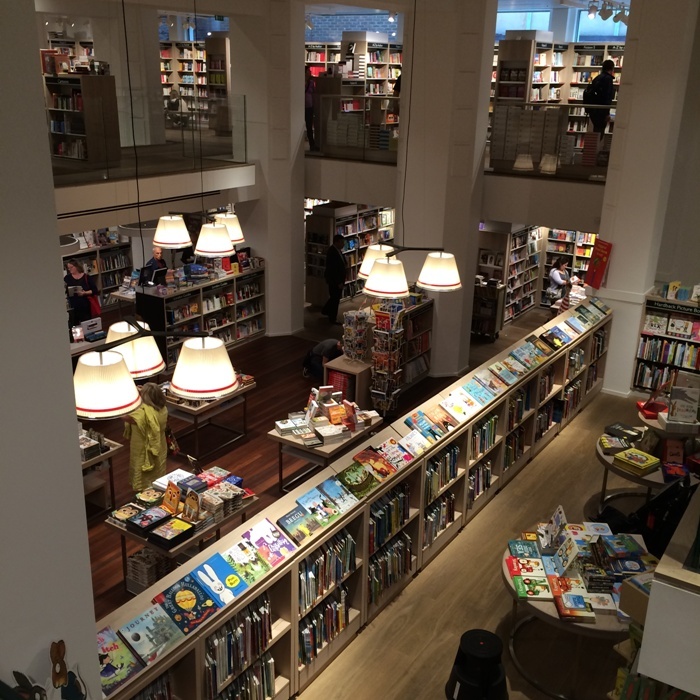 The library was the place that we headed the most, however as a treat when I had been extra good (which in my teens wasn’t very often, the telly got banned once) I would be allowed to go and get a nice new pristine book from the White Horse Bookshop which spans over a few floors. I haven’t been in quite a few years but I heard from Naomi Woods, when she was at the Marlborough Literature Festival, that it is still wonderful. Now I have a joint pair of books at number ten and that is because they are both local to me and very, very different in delightful ways. 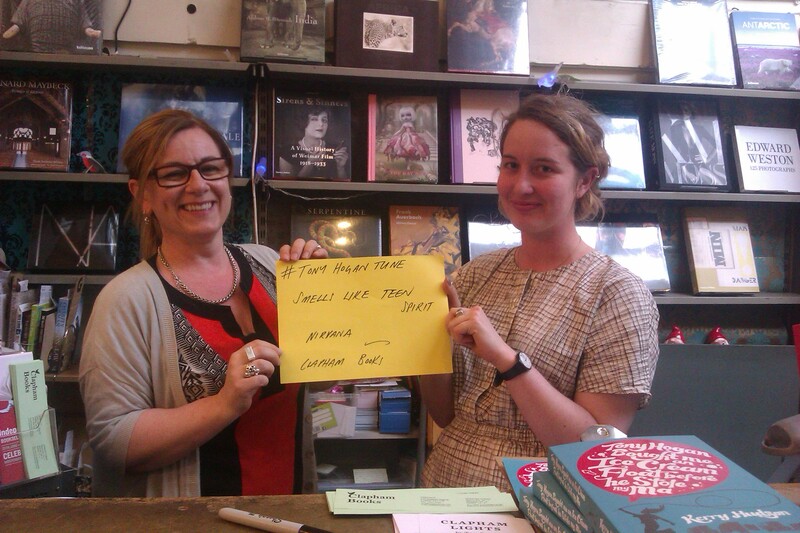 Linghams won the independent bookseller of the year last year and as soon as you walk in you know why. 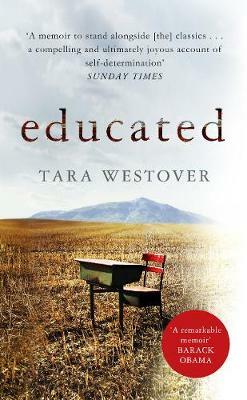 There are the latest must reads, unusual staff picks (from some of the most friendly and knowledgeable staff) and they have some corking events. They also do their own line of wonderful bookish gifts and I have a very special ‘one off’ purple Linghams bag which I am most proud of. Happy, knowledgable, friendly staff and a good selection are always a winner. Finally there is the wonderful Oxton Village Books which used to be in the post office, and when I saw had closed down I almost physically wept, yet now resides in the wonderful Williamson Art Gallery and Museum which is roughly three minutes walk from my house. They only deal with second hand books inside BUT you can order new ones through them. They are my number one destination when I am looking for something slightly older or just fancy a browse and also when I have a good few bags of books that were sent unsolicited that I don’t want – well after my mother gets first dibs obviously, in case she is reading this. The owners are wonderful and it feels like the perfect addition to such a cultural spot. Lovely stuff. So those are the bookshops I would highly recommend. Obviously I have not been to every bookshop in the land, though wouldn’t that be marvellous? I could write a Rough Guide to British Bookshops. I have missed a few of my other favourites, but eleven seemed a cheat enough, I could also have mentioned any of the Daunt Bookshops, which are wonderfully organised by country which is a brilliant idea; I could also have mentioned the lovely Review Bookshop in Peckham which is run by the lovely Evie Wyld… There are so many! So which bookshop will you be heading to? Which is your local favourite and do you have any other favourites that you think readers of this blog should visit? Have you any titles you have in your site that you might end up popping in your Books Are My Bag bag? No matter what city I find myself in, anywhere in the world, the moment I have some Wi-Fi (in the unlikely case that I haven’t researched this thoroughly before getting there) the first thing I try and locate are the nearest bookshops. I don’t care if they have English titles or not, if there is a bookshop in the vicinity and I can find it then that is where I am headed. 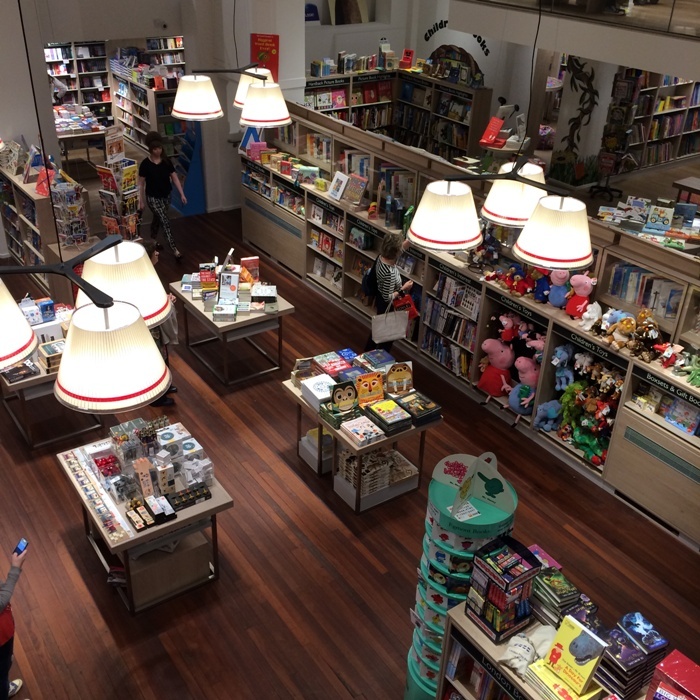 I was told, by my lovely friend Adem who I met up with for an afternoon of wandering and cake hunting, that in Amsterdam THE best bookshop in the whole of the city was also in the heart of it and that was The American Book Center, and so off we toddled. Amazingly though, even though the bookshop is choc-a-block it manages to be light and airy throughout. 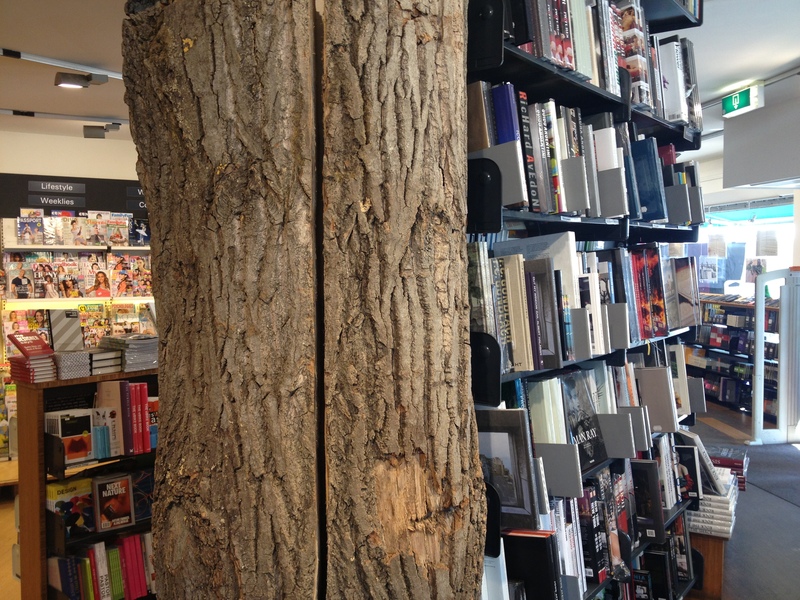 I also loved the way that, with some wonderfully places tree bark/trunks the bookshop both feels it has the outside inside and pays homage to what books are after all made of. 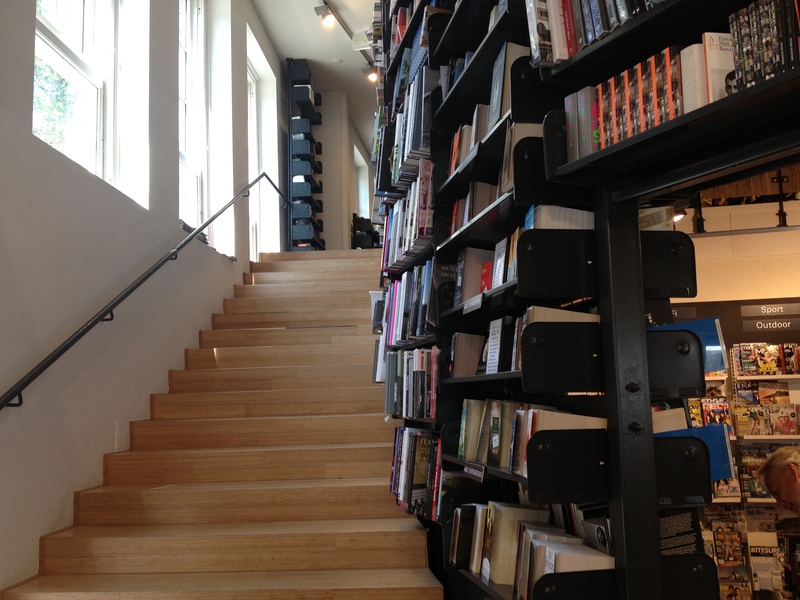 Once up the stairs the shop gets even better as books are EVERYWHERE yet whilst the bookshop does become something of a maze (in a good way) it never feels claustrophobic and because of the gaps between the shelves light gets through and it feels very open all at once. What was also really lovely about the place was the staff! Initially Adem and I simply couldn’t find the English language section of the book shop at first (not that I minded because I do love looking at foreign editions of books and their covers, don’t you?) and so we had to ask and the staff couldn’t have been better. We had a good chat as we meandered to the right place, talking about which books were big in Amsterdam and the Netherlands and also which books were big in the UK. We even had a chat about reviewing vs blogging and about why on earth the UK is so slow at translating books. Amazing. 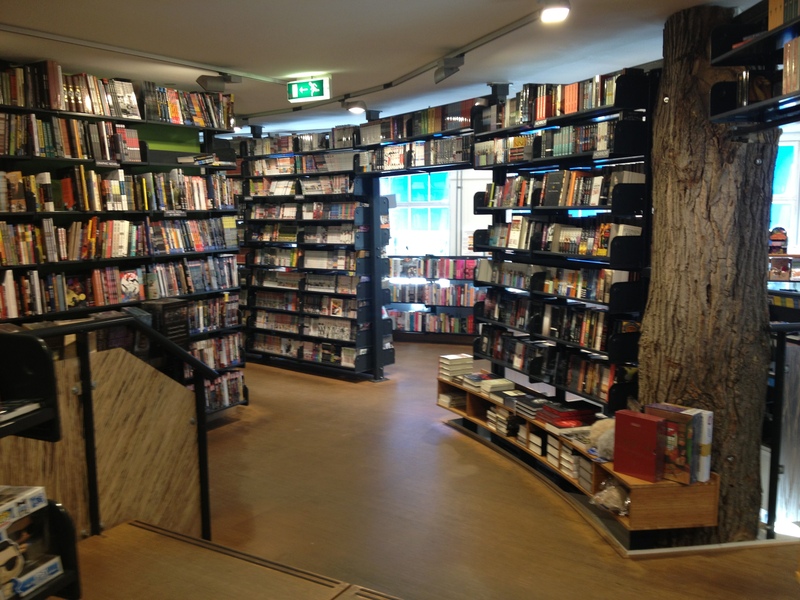 So if you are ever in Amsterdam then make sure you head to The American Book Center, and that you leave yourself a good amount of time to have a wander around. 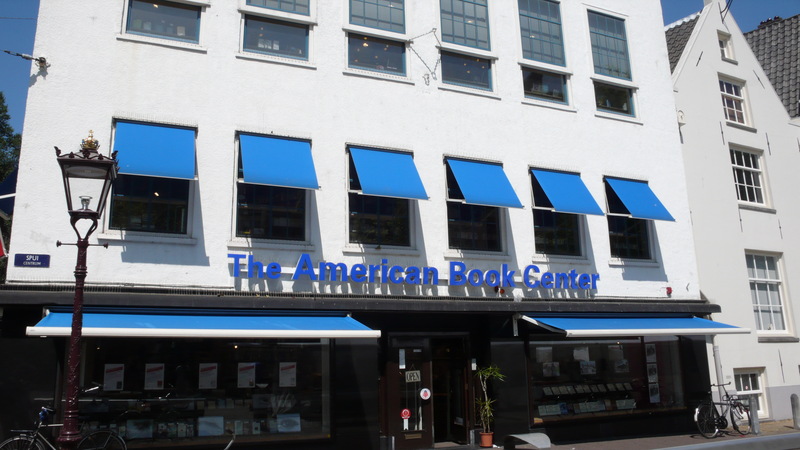 The American Book Centre is located at Spuistraat 12, 1012 XA Amsterdam (nearest tram stop is Spui) you can visit their website here. 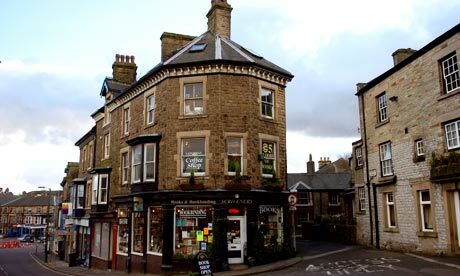 As its Sunday which I think is the most leisurely day of the week, I thought that I would take you on a leisurely stroll around my almost but not quite local independent bookshop. This is the lovely Linghams in Heswall which might not be just down the end of the road, but is (pretty much) directly opposite The Beard’s new lovely food shop. Handy, right? And a delightful cafe which myself, The Beard and his friend Abby all enjoyed some absolutely delicious Thai fishcakes and chips in for lunch. Absolutely scrummy. We couldn’t quite decide if we thought that the live piano playing was a great thing or slightly annoying, but we went with it and it does add a certain ambience to the place which for the (good) hour we were there was constantly buzzing. Lovely. It’s the sort of shop that makes you want to, well, shop. I don’t know about you but I always have a little list of criteria when I go into an independent and also an ‘allowance’ when I am in a store, this of course has a limit (because I could frankly go crazy) yet I only spend if I love the store. That’s natural isn’t it? Well the books that I had on my ‘allowance’ list on this visit were ‘Swimming Home’ by Deborah Levy, pre Man Booker longlisting, and ‘The Shadows in the Streets’ by Susan Hill as it was somehow a book in the series I had missed. 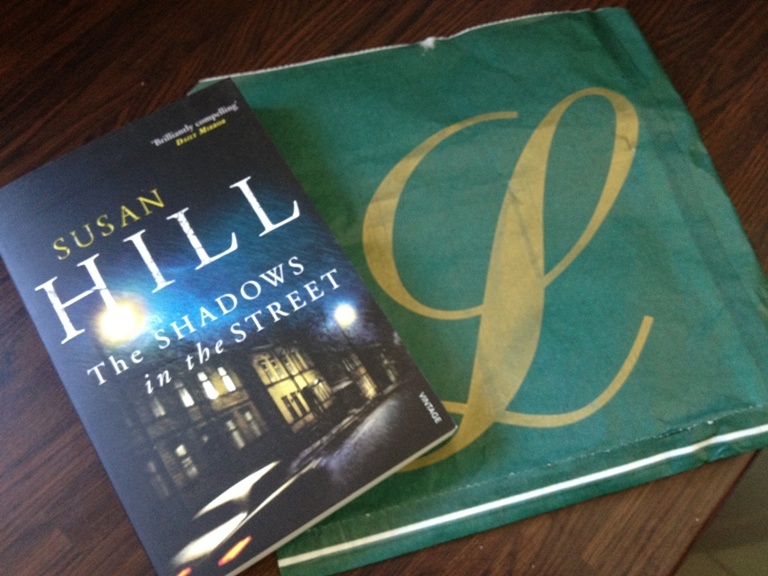 Alas they didn’t have Levy, but before Booker long and short listing it was tough to get hold of anywhere (libraries, high street chain bookshops and even a certain online place) but I did find the Hill which I snapped up. 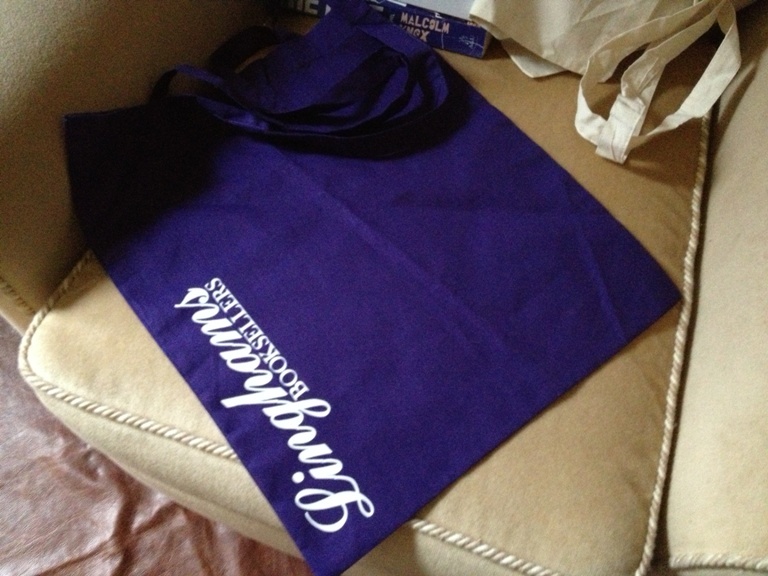 A one off purple Linghams book bag, which no one else has and that the lovely people at the shop had made especially. I was really chuffed and will be wearing it with pride when I next go to Heswall to fill it up. 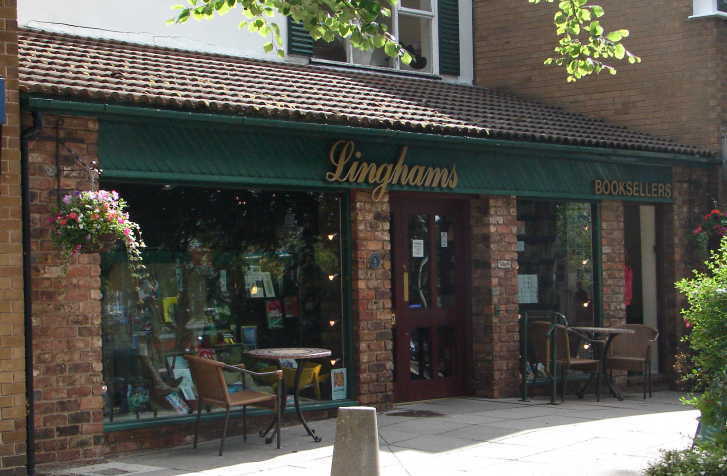 Linghams Booksellers can be found at 248 Telegraph Road, Heswall, Merseyside, CH60 7SG and you can visit their website here.